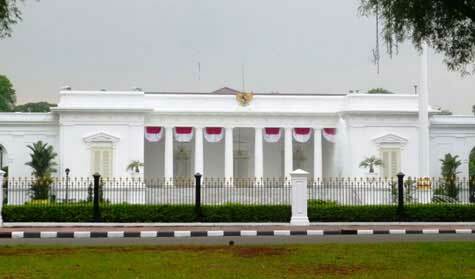 Presidential Palace (Istana Negara) is one of the 6 presidential palaces of Indonesia. It is located Veteran Street Central Jakarta, with Merdeka Palace located south of the building. It is part of the presidential palace compound which have a total area of 68,000 m², along with 3 other building: Bina Graha building that was formerly used as the President’s Office, Wisma Negara in the western side which is used as state guesthouse and the Sekretariat Negara (State Secretariat). Istana Negara face north towards Jalan Veteran (Veteran Road), while Merdeka Palace that was built in the south are facing Merdeka Square.